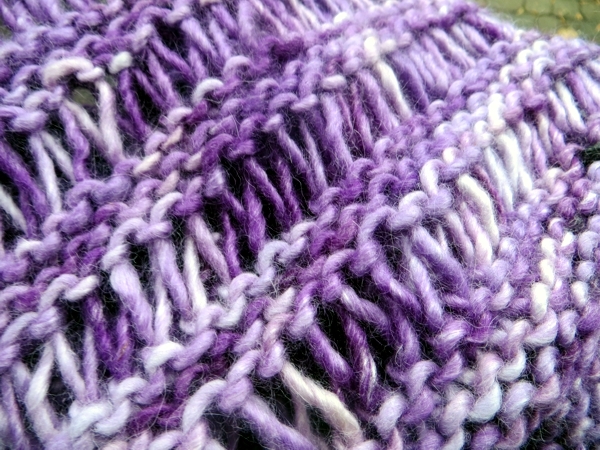 Not too long ago I mentioned buying some glorious purple yarn made up of alpaca and bamboo, and tried to guess the justification for blending these two fibers. 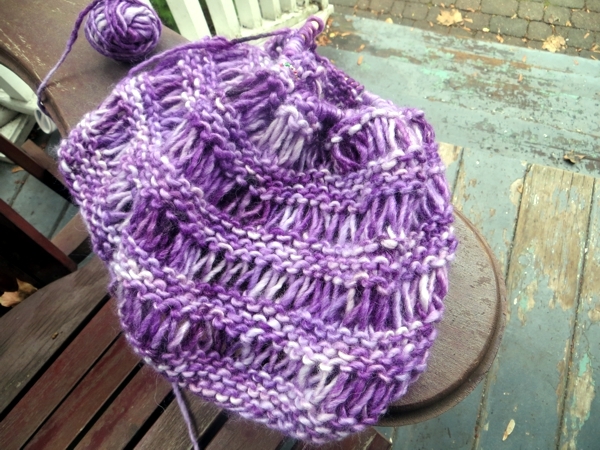 Now that I've been knitting with it, I think it's probably because WOW. So luxurious. It's super soft of course, but the lustre is incredible too, to say nothing of the drape. Except of course that I did just mention the drape there, didn't I? 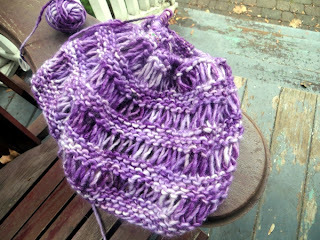 Well, there's lots of drape, and I am loving this yarn. Can you see the halo? What I'm after here is a drop stitch cowl that can do double duty as a winter head covering for a friend who wears her hair up a lot and is amazingly not Lannie (sorry Lannie! ), which means it has to come out as a very long tube. And that's an interesting challenge, given that I've only got 105g of yarn and it's very bulky such that the yardage is teeny. Oh dear. You know what, I did actually do a gauge swatch this time before I cast on. 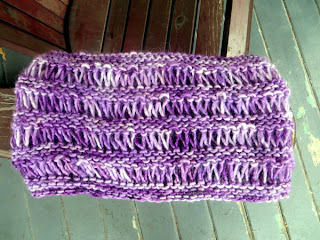 It told me 70 stitches would win me a 23" wide cowl. 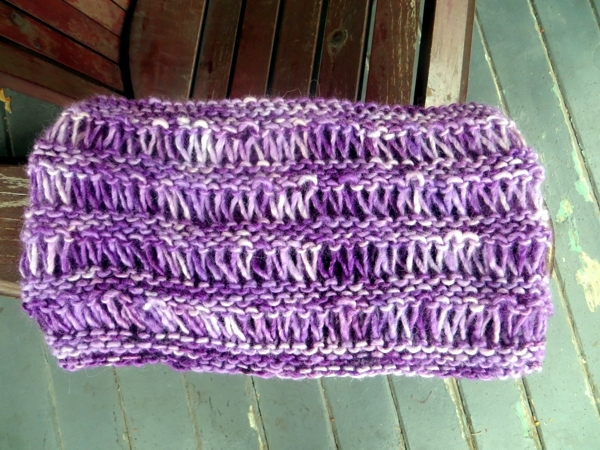 In fact, it got me a 30" wide cowl, and a stumpy one to boot. Still pretty, but not what I had in mind. So.... I ripped it out again, and I'm about 1/6th of the way through the re-do with 54 stitches. This is one of those times I don't really mind though, because did I say wow? WOW. It's fantastic stuff.